Yesterday, April 27, would have seen the celebration of the Feast of St. Peter Armengol. 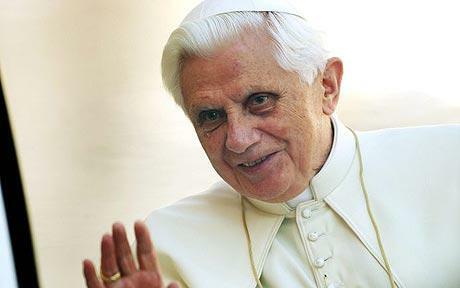 However, because it is the Octave of Easter, his feast day is suppressed. Nevertheless, his story and witness to Christ are applicable and apropos. Peter Armengol was born in Guardia dels Prats, a small village in the archdiocese of Tarragon, Spain in 1238. He belonged to the noble house of the barons of Rocafort, descendants of the counts of Urgel, whose ancestors were directly linked to the counts of Barcelona and the monarchs of Aragon and Castile. Despite the great care taken by his parents regarding his education, young Peter gave himself over to a life of total dissipation, vice and caprice. “Abyssus abyssum invocat” (Deep calleth on deep), say the Scriptures. Thus Peter joined a gang of criminals who, pursued by Justice, led the life of bandits in the mountains. Soon, young Armengol became the leader of that gang. On account of his son’s bad behaviour, Arnold Armengol de Moncada moved to the kingdom of Valencia, recently conquered from the Moors by King Jaime. This monarch had to embark on a trip to Montpellier in order to meet with the King of France on matters of interest to both crowns. To travel safely, he commissioned Arnold to go before him and rout the assailants who often robbed and killed travellers in the Pyrenees region. At the most dangerous part of the journey, the retinue of the noble Spaniard saw itself surrounded by brigands. Arnold, with his troops, rushed at them, wounding some and apprehending others. He spurred his horse forward with sword in hand and urged his men to defeat the leader of the bandits. Indeed, Arnold himself was the first to engage the leader in hand-to-hand combat. Suddenly, grief came upon both noble and brigand, when they discovered their identity. 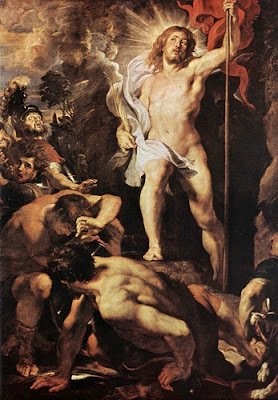 Bathed in tears, Peter prostrated himself at the feet of his father, delivered his sword and, with it, his heart. Filled with shame, the repentant youth retired to a Mercedarian monastery in Barcelona. With an ardent desire to repair the injuries done to God, he become a monk in that religious order founded by Saint Peter Nolasco to ransom Catholics captured by the Mohammedans. He requested the habit with such insistence and gave such conclusive proofs of his vocation that he was received into the Mercedarian Order by the Venerable William de Bas, the French-born successor of the holy founder. The disorderly passions were now conquered by Peter Armengol in religious life. He understood how to subdue them with such promptitude, through penance, mortification of the senses and continual prayer, that even before he reached the end of his novitiate he had managed to subject them to the dominion of his will and reason. On an expedition to that continent, he arrived in Bugia in the company of Friar William Florentino. There they ransomed 119 captives without any incident. However, before departing, Friar Armengol learned of a prison with 18 children who, impelled by the threats of punishments of the barbarous Mohammedans, remained in danger of denying the Faith. The religious happily offered himself as hostage for the ransom of the innocent captives. His release was promised in exchange for a stipulated sum. But, if the payment did not arrive within the set time, he would suffer harsh punishments. Divine Providence had disposed that this man of God would thus give proof of his special confidence in the omnipotent mediation of the Blessed Virgin, to whom he was deeply devoted. In captivity, Friar Armengol worked prodigies of charity among the infidels, converting many by the efficacy of his preaching. The time prescribed for the delivery of the money came and passed without the payment being made. The infidels threw him in prison and even denied the food necessary for his sustenance, but Our Lord, by means of His angels, miraculously provided for his survival. Tired of tormenting him, the Moors conspired to take his life. They accused him of blaspheming Mohammed and of being a spy sent by the Christian kings, thus raising the ire of the Saracen Judge who condemned Friar Peter to death by hanging. When everything seemed lost, Friar Armengol prayed to Our Lady and confided in her. The unjust execution was carried out and Peter’s body was left hanging from the gallows. The Moors wanted his corpse to feed birds of prey. Thus, the holy man’s body remained suspended. Six days had elapsed when Friar William arrived with the ransom money. Learning what had happened, he went with great sorrow, in the company of some captives, to see the lamentable sight. Reaching the site of the execution, he noticed that the body did not emit a bad odour, but rather exhaled a heavenly fragrance. 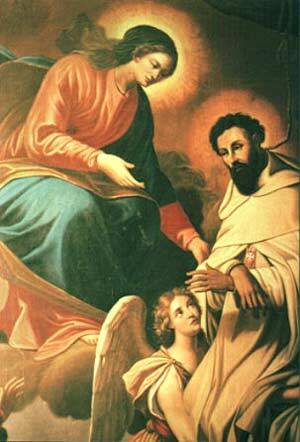 To their astonishment, Friar Armengol spoke, telling them that the Blessed Mother saved his life. Astounded by the stupendous miracle, some pagans converted to the Catholic religion. For the rest of his life, Friar Armengol had a twisted neck and a pale completion, authentic signs of what had taken place. He retired to the monastery of Our Lady de los Prados, where he practiced heroic virtue and spent his days in familiar conversation with the Queen of Angels, whom he loved so dearly with filial devotion. 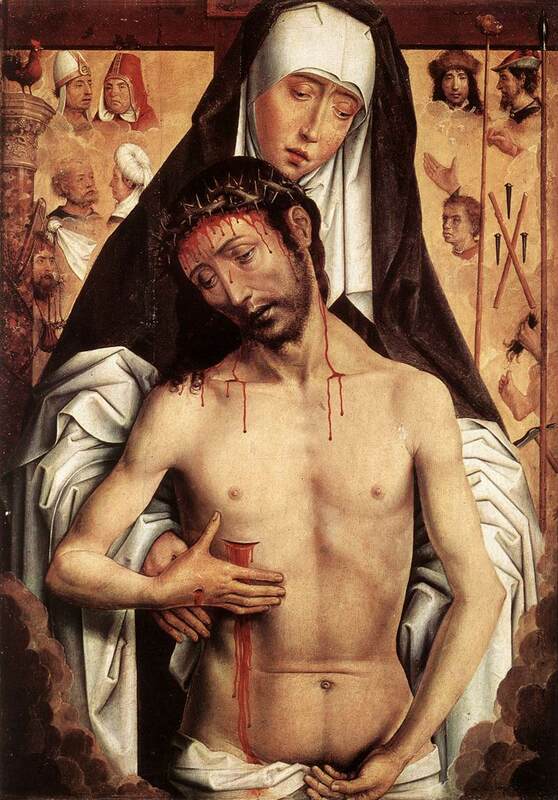 He rendered his soul to God on April 27, 1304. Our Lord deigned to give proofs of the glorification of His servant with seven miracles, the cures of three men and four women, even before his death. On March 28, 1686 Pope Innocent the XI approved the public cult to the saint and, in the eighteenth century, Pope Benedict XIV inscribed Saint Peter Armengol in the Roman Martyrology. The body of Saint Peter Armengol was preserved incorrupt until 1936. During the Spanish Civil War, however, communist marauders invaded and sacked the church, carrying off his venerable body to the public square where they burned it. Some children gathered up what they could of these ashes and took the precious remains to their homes, where their mothers kept them with great care. Later, after the communists were vanquished, the precious relics were returned to the church, where they are kept in a reliquary over the main altar – largely forgotten by “progressive” Catholics – in silent testimony of the sanctity of the Catholic Church and Christian Civilisation. In our times of profound moral crisis, let us ask Saint Armengol to obtain for us before the throne of God, graces of unbending fidelity, unwavering hope and heroic confidence in the powerful intercession of Our Lady. Source: Cf. Abbe Rohrbacher, Histoire Universelle de l'Eglise Catholique, vol. 20, Gaume Freres Libraires, Paris, 1845, pp. 40-43.